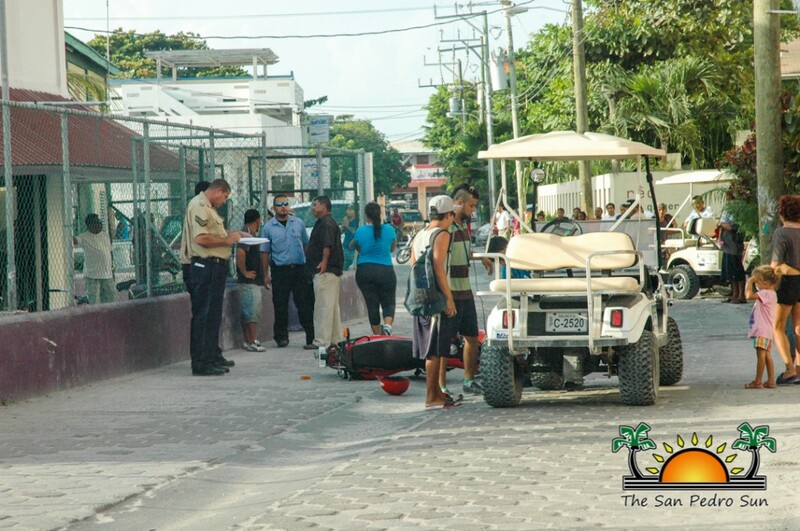 On Wednesday, July 2nd, San Pedro Police responded to a traffic accident not far from the police station. According to reports a golf cart had collided into a motorcycle in front of a local hardware store on Pescador Drive. No one was seriously injured as a result of the crash, but both vehicles received cosmetic damage. Further investigation revealed that around 5:10PM, 27-year-old Bryan Grajalez was driving his golf cart, license plate number SP-C-2520, towards Jew Fish Street. While passing in front of the hardware store, a motorcycle, with license plate number SP-M-0632, and travelling on the opposite direction, drove into the left hand side of the road and collided into the left front portion of Grajalez’s golf cart. The driver of the motor cycle was identified as 46-year-old Jose Sorto. The golf cart received damages to its left front bumper, left front hub cap, left wheel braces and left front lights. The motorcycle also received damage to its front guard, right front indicator light and rear light. Luckily, none of the two men were harmed by the accident. Grajalez requested no court action as Sorto has agreed to cover the repairs of all damages caused by the accident. 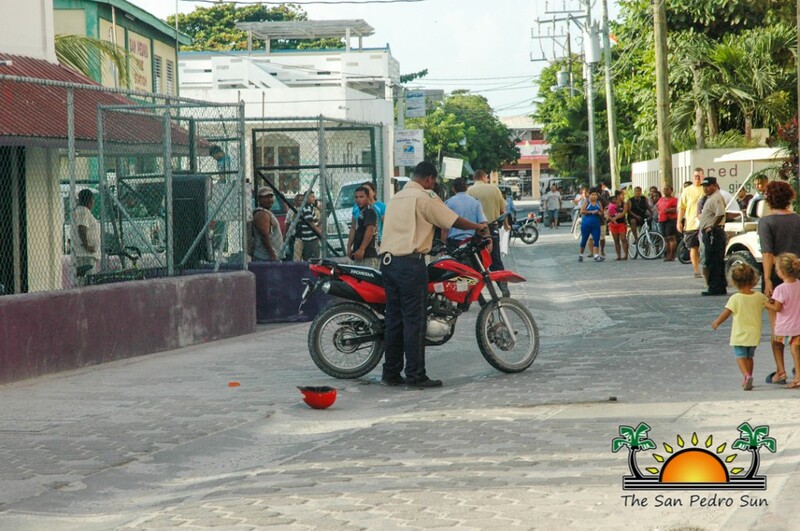 “The excess of traffic and speeding in the island can result in accidents. It is very important that drivers follow traffic regulations and drive with caution at all times,” said Officer in Charge of Police, Luis Castellanos. The San Pedro Police and San Pedro Traffic Department urge all motorists to drive with due care and attention especially during the busy traffic hours of 7AM to 9AM, 11AM to noon, and 5PM to 6PM.